According to he organisers, the new challenge for HR in 2016 is to “demonstrate their value as a business partner and gain executive support for the people agenda” – a tall order when you consider a backdrop of global economic volatility, industrial disputes, an ageing workforce and new rules of engagement. But the HR Summit Perth (along with its sister conferences in Melbourne and Brisbane) want to help HR professionals tackle these issues head on by offering you and your colleagues new ways to add strategic value to your organisation. Leadership – what can HR do to build and enable leadership capability and culture. Strategy – critical milestones and phases of the strategy life cycle, and tips on how to keep managers focused on the grand vision and end-goal. Good Management Practice – what CEOs, managers and employees really want from their HR departments and how to deliver it. Restructuring – what you need to know before starting the process, how to provide authentic messages to your workforce, and how to alleviate the tensions that arise throughout the change management process. Culture – how to create a culture that rewards quality, growth, and opportunity. 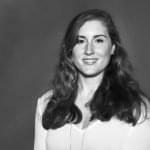 Creating a Recruitment Campaign – how best to use your employee as ambassadors to drive applications. Want to improve your recruitment, retention and people management practices? Hoping to improve your leadership skills? Looking to find out about the latest legal updates? Then the HR Summit Melbourne is the conference for you! Creating a Culture of Recognition – interactive and engaging communication campaigns you can use that continuously educate and engage employees and that motivate all sections of the workforce, not just the high performers. Neuroscience of Leadership – fascinating insights into how we and those around us make decisions. Turning High-Performers into Excellent Leaders – real life tips and techniques on how to build a successful leadership development program that ensures your high-potentials are not only effective leaders but also acutely aware of the impact of their leadership style within the organisation. Employee Screening – top 10 tips on effective employee screening to use during the interview process. Engagement and Retention – how to build a culture of commitment and loyalty that is based on trust and authentic leadership, and ways you can demonstrate gratitude on a large scale (without large monetary rewards). Are you positioned to respond to rapidly changing operating conditions? Organisations across the public and private sector are going through major changes which has highlighted the urgent need to have the correct workforce in place to respond to rapidly changing operating conditions. However, many organisations still do not have the necessary strategic workforce planning capability to ensure that they have the right people, with the right skills, in the right place, at the right time to ensure the delivery of their strategic business objectives. And that’s the primary focus of the Workforce Planning Summit 2016 – to ensure your organisation is equipped with the knowledge and skills to be able top find the right people, with the right skills, in the right place and at the right time. Strategic Workforce Planning – how do identify current and future gaps in our digital workforce and how to source for the skillsets needed in the short and long term future. Workforce Innovation (Health Sector) – outlines the new innovation-focussed workforce planning techniques being designed and tested for use in the Victorian health sector, including a new conceptual model for workforce planning in health. Big Data – how to measure, analyse and draw insights from workforce data and quantify the value and ROI of human capital. HR Metrics & Workforce Analysis – how to determine the key critical performance indicators or workforce topics that you should be measuring to achieve improved business outcomes. Dr John Sullivan states “we need to face the reality that the new normal both in business and in Talent Management will be full of rapid, volatile, and hard-to-predict change”. That’s why the theme of this year’s event centres around detailing with VUCA – Volatility, Uncertainty, Complexity and Ambiguity – and offering its attendees useful strategies and tactics to help them deal with VUCA going forward. The need to provide greater value at reduced costs – how to innovate and gain the required investment to meet this need. Significant fluctuating peaks and troughs for talent – how you can deal with this in relation to your recruitment staff and structures. Increased awareness of the impact of diversity on agility, innovation and subsequent profitability – how to commit to diversity with cost and other pressures. Changing stakeholders and more complex types of matrix structures – how you can stay connected and understand the implication for talent. Significant and frequent changes in business direction – understanding how this impacts your organisation’s value proposition and ability to supply critical talent. Innovation – how you can stay ahead, evaluate and prioritise the important from the nice to have. The brainchild of Destination Talent, the Sourcing Summit (#SOSU for short) started in Sydney in 2011 and is now held annually in Australia (#SOSUAU), New Zealand (#SOSUNZ) and Europe (#SOSUEU). At the time, the aim of the event was to highlight the growing importance of sourcing and to bring together sourcing practitioners to network and learn from each other, and we’re delighted to say that aim hasn’t changed. Each and every SOSU event focuses on vital hands-on learning relevant to the rapidly changing world of sourcing talent, and encompasses a range of learning and training formats. 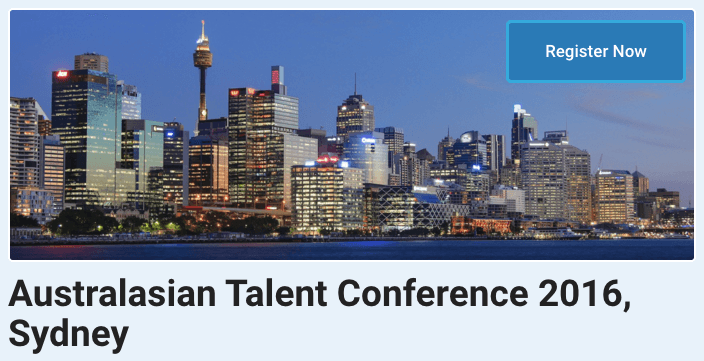 The event is designed for recruiters, sourcers and talent acquisition professionals who “want to learn new ways of finding talent” and are serious about “upping their talent sourcing skills”, and each year the carefully selected speakers reflects that design. TBC – follow the #sosunz for updates on Twitter. The 2016 International Conference of the Recruitment & Consulting Services Association of Australia and New Zealand will focus on NEXT GENERATION RECRUITMENT and on integrating “yesterday’s experiences with tomorrow’s recruitment solutions, opportunities and top priorities”. The conference provides an unparalleled platform for recruitment industry executives, teams and industry provider’s access to world-class thought leaders, recruitment innovation and software systems. This 3-day extravaganza has everything you could want from a top-notch conference including a poolside reception, a golf day, keynote and concurrent sessions from some of the industry’s finest speakers, a gala dinner and a farewell cocktail party, all in the beautiful surroundings of the Sheraton Mirage. The Future of the World of Work and its Impact on the Future of Recruitment – the 4 key drivers of change and how savvy recruiters can capitalise on the skills of yesterday and today to harness the forces of change and drive a new and brighter future for recruiters. The Impact of Cloud – how to embrace Cloud to win first. Personal Branding – 7 keys to successful personal branding for recruiters. Gamification – how game-based assessments are driving next generation recruitment success. Spotlight on Sourcing – tips and tactics to improve your proactive sourcing to yield better results. Retention and Performance of New Hires – you’ll explore the business case for measuring and managing “Social Attachment” in your workplace and how doing so with your placements will reduce your fall-out rates and increase your position as a “partner of choice” with your clients and not just another recruiter. Leadership – how to lead in a world of disruption , distraction and change. Much like its sister conferences in Melbourne and Perth, the aim of the HR Summit Brisbane to help HR professionals tackle issues like economic volatility, industrial disputes, an ageing workforce and new rules of engagement, head on. HR Leadership – how to create a culture that supports people to achieve and exceed their goals. Establishing HR as a valued business partner in the C-Suite – gives you insight into the delicate art of getting an executive team to commit budget to HR initiatives. Leveraging HR technology to enhance the employee experience – tips on how to leverage data and analytics to drive better business outcomes like human capital performance and profitability. Recruitment Strategy – how to ensure recruitment campaign objectives align with business needs and support the bottom line. HR 2020 – you will discover and discuss the shift that HR needs to be prepared to make to change the landscape of organisational learning. Onboarding – practical onboarding techniques to help you retain talent. Online registrations for 2016 are now closed. Please contact Jess Cockley at jess.cockley@keymedia.com.au for more information. Every year the Australian Association of Graduate Employers (AAGE) hosts a conference to bring together employers from around the nation to learn, develop and network together in an energetic and stimulating environment. Like it’s predecessors, 2016’s event will allow attendees to focus on broader issues impacting on the industry, to have the opportunity to learn from industry experts, discover the latest trends and, most importantly, to discuss solutions and methods in which to handle industry challenges – all in a format that encourages the open sharing of knowledge and experience. Although the program of events and speaker topics has yet to be announced, the content generally includes a variety of keynotes, panel sessions and topical issues workshops focused on current trends and industry challenges. There are also usually facilitated discussion groups, knowledge-sharing sessions and opportunities for networking among delegates – ideal for anyone involved with graduate recruitment and development (e.g. HR professionals, university careers advisors, service providers and professional associations with graduate programs). This conference offers an extensive range of pricing options to suit all budgets. Check them all out here. To be successful at anything, you need to know how to do the good things right! Here, we take a look at what not to do. All candidates can prepare themselves for the standard interview questions. But only a superstar will be able to wow you with answers to unexpected questions they can't predict. The Latest Way to Get All Your TA News! Now you can listen to our fascinating interviews with TA leaders on the go! All episodes available on Soundcloud and iTunes!